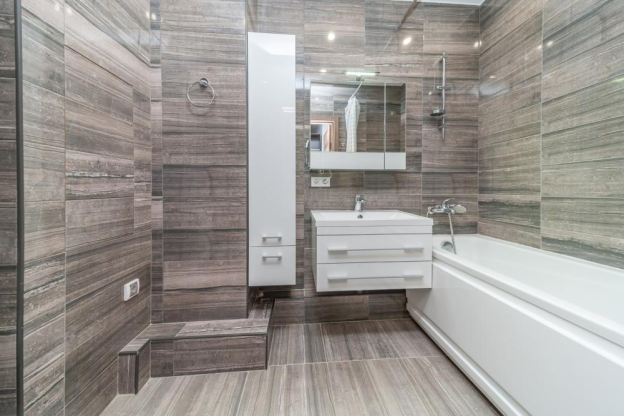 Whether it’s a large luxurious bathroom or a small one, you can increase the value of your home by having it remodeled and renovated. Make tiny bathrooms more livable and functional through efficient design and decoration. Get inspired by these resourceful tips and tricks to make small bathrooms more spacious and comfortable for daily use. Make use of the minimal space to creatively store hygiene products and supplies. Install wall-mounted cabinetry along the walls and underneath sinks to store important toiletries inside deep drawers. Mount double vertical shelves above toilet seats to place scented candles and plants and pots for a fresher look. You can also add a floor to ceiling shelve unit behind the door to store extra toilet paper rolls and hand towels. Wooden and stone slabs and cabinetry will work great for a clean and minimalistic look that will last for a long time. Paint the bathroom walls white or add porcelain tiles along the floor for a more polished look. You can also use pastel colors and beige tones to make the room appear more spacious. Install light-colored fixtures and use natural plants and scented candles for a warm and cozy vibe. 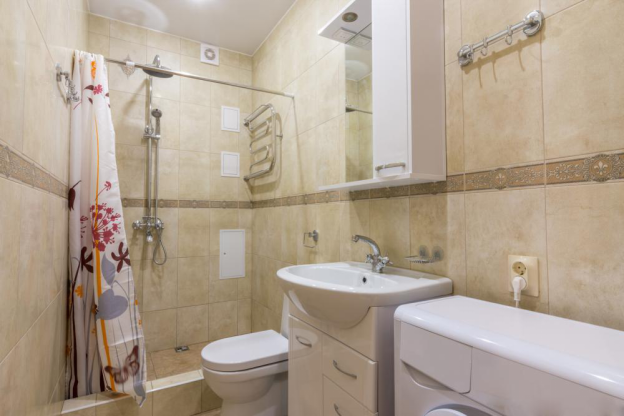 Tight, narrow corners in bathrooms are often left bare and the additional space goes to waste. Install corner sinks to make use of the angled space and avoid using massive pedestal sinks that take up a lot of room. You can also add a hanging stand for clothes to conveniently change inside after showering. If you need more storage space, fit in a custom shelving unit to utilize the otherwise wasted space. Add a wow factor to your small bathroom with floating vanities. Not only does it look great, but it’s also practical and functional. It saves space with its two in one storage and sink. Install floating vanity below the bathroom mirror and have your toiletries stored in the cabinet underneath the attached sink. Make the cramped space look more open with shower curtains. Avoid bumping your elbows on glass sliding doors while inside the shower; instead, maintain your privacy with a funky shower curtain. Whether the bathroom houses a 60-inch bathtub or a standing shower area, a shower curtain opens the space and makes it more private. If you’re looking for a custom bathroom remodeling company, we can help you with our home construction and remodeling services. Whether you’re looking for bathroom remodeling, custom kitchen cabinetry, kitchen remodeling or handyman services, our skilled staff is ready to help you out. Our team of professional craftsmen will listen to your ideas and share design and technical information to start your remodeling project ASAP. We provide custom home building to residences in Shreveport, Benton, Minden, and Natchitoches, LA. Contact us at (318) 393-7361 and set up a consultation today!